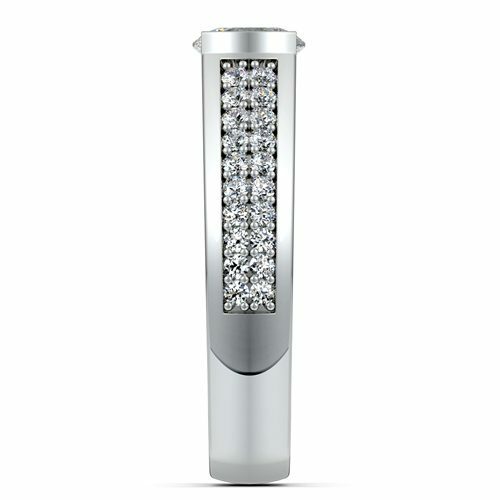 Forty round cut, pave set diamonds encrust the band of the Pave Diamond Euro Shank Ring in White Gold. 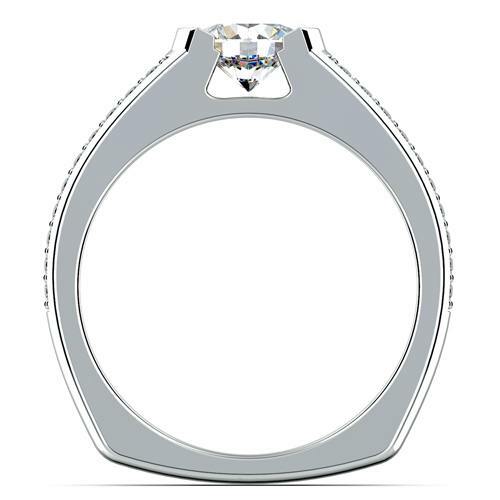 This elegant Euro shank diamond ring allows light to reach your diamond from each side of the half bezel, making it the perfect setting to maximize the sparkle of your choice of center stone. Available in either 14 or 18 karat white gold and approximately 2/5 carat total weight accenting your choice of center stone, this dazzling ring will catch anyone’s attention. 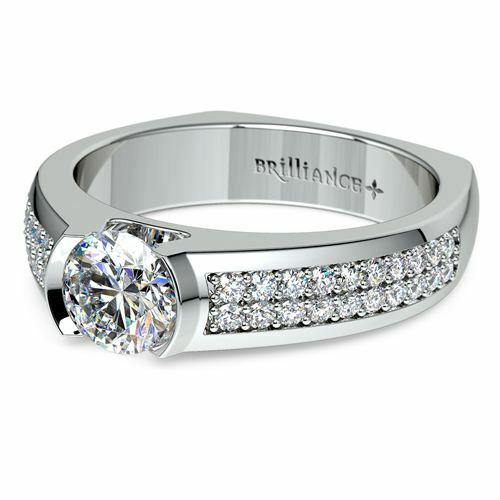 Like this engagement ring setting? 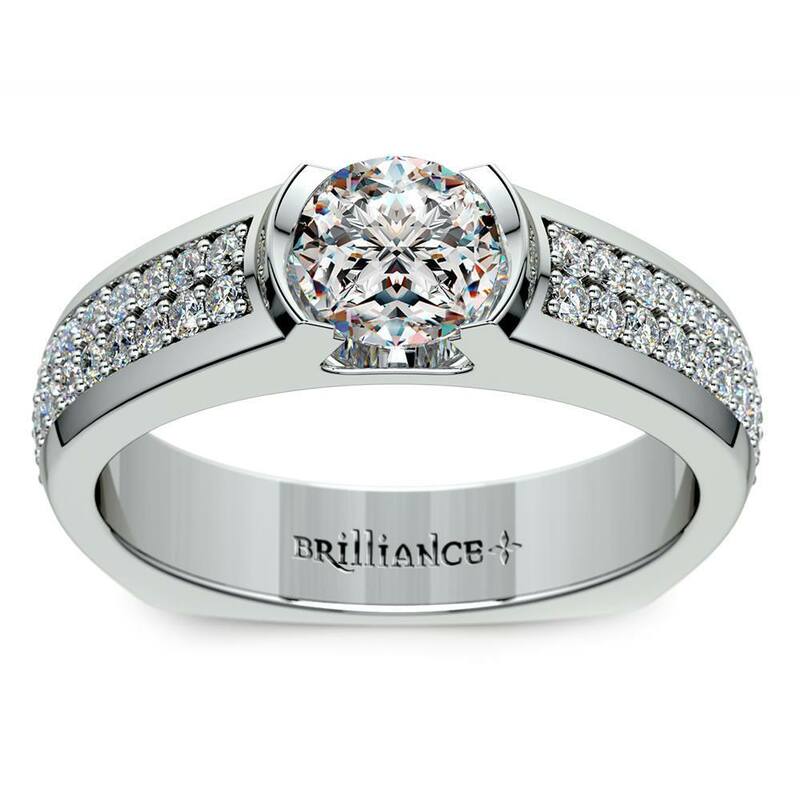 You can view our full collection here: Diamond Engagement Rings.